We all yearn for a life beyond four bare walls. 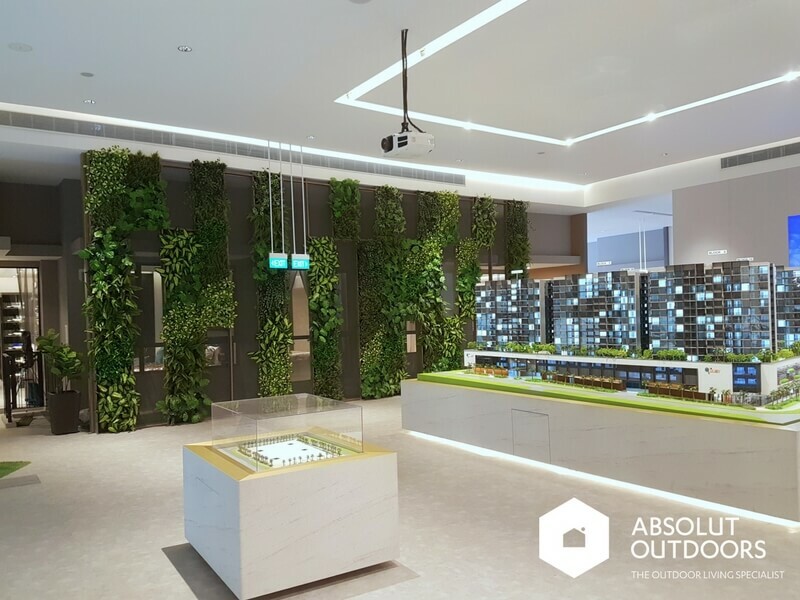 These artificial green walls, or vertical garden walls, that we created and installed for a condominium showroom recently satisfies this desire perfectly. A smiling sculpture welcomes potential homebuyers to the showroom. 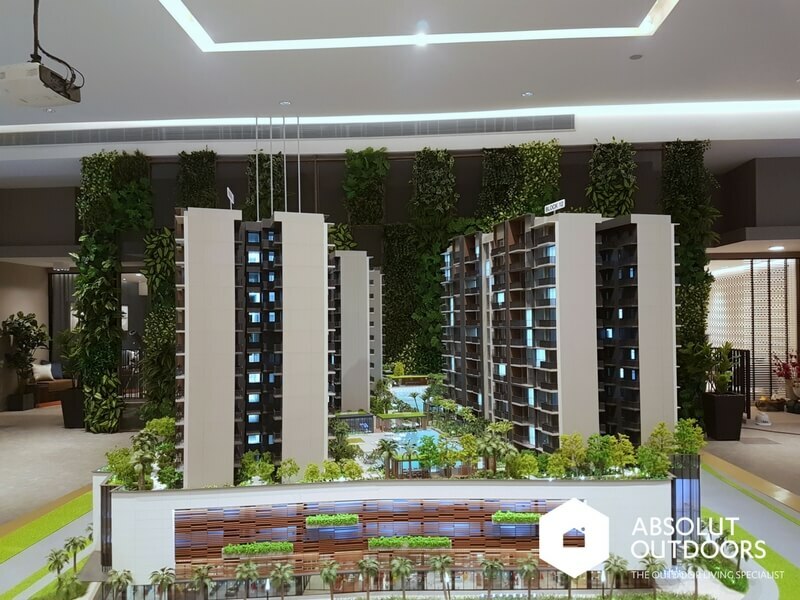 The scale model of the entire development is set against a scenic backdrop of vertical garden panels. Instead of installing artificial foliage on the entire wall, interesting panelling was done to lighten the look. The use of panels also allow homebuyers to see through to the rooms behind the wall. 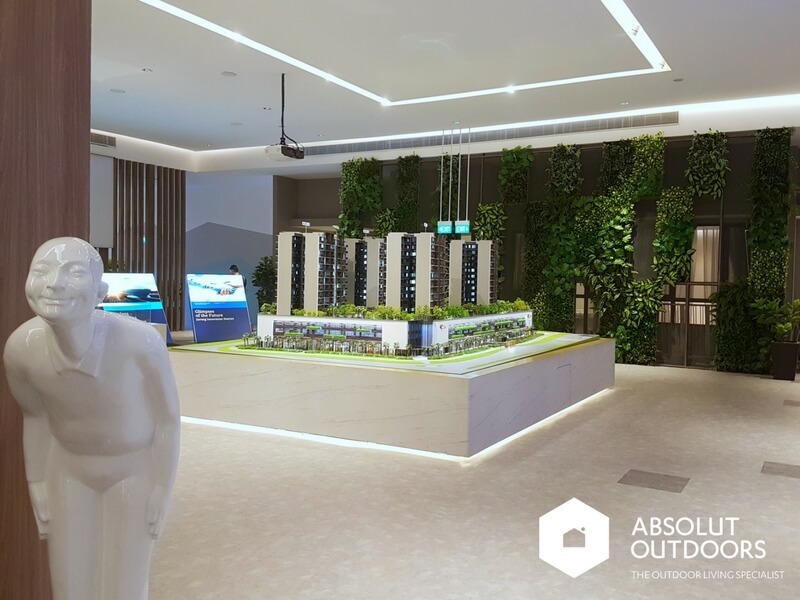 The greenery in the showroom helps to convey the sense of calm that home brings, and enables the condominium developer to show potential homebuyers that a home there is just what they need. 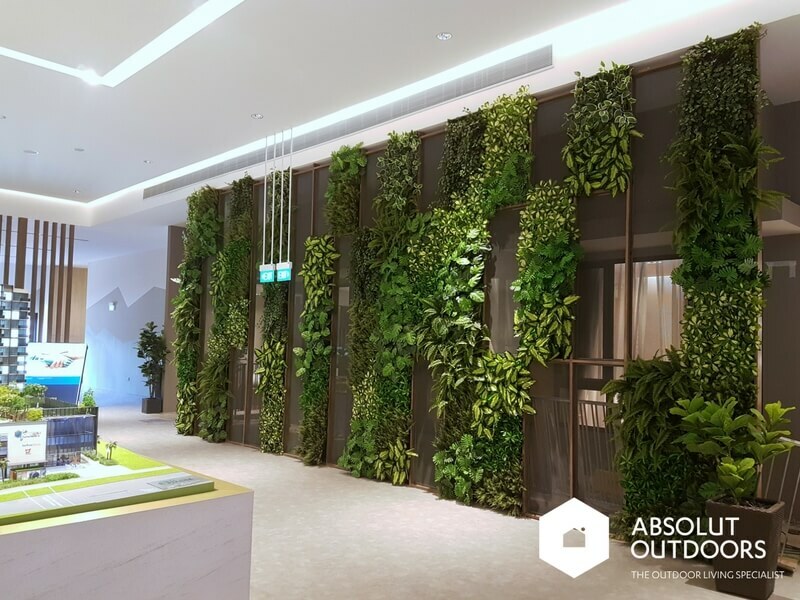 We’ve got lots of artificial plants available to create unique artificial vertical gardens for you. 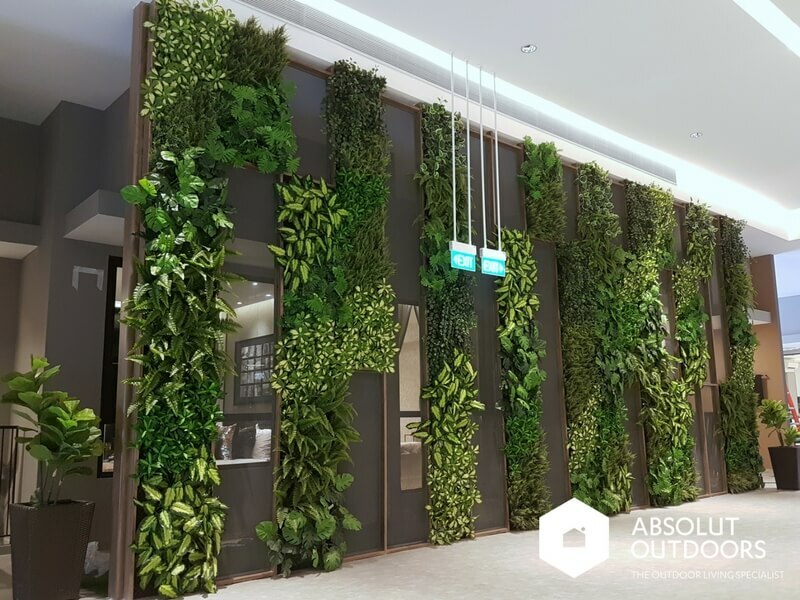 For more information about installing these artificial vertical gardens in your home or your workplace, please fill out our Contact page; call us at 67498087; or email us at enquiry@absolutoutdoors.com. We’d love to help!